Before you start your journey down the lane of my wandering thoughts, let me introduce myself. I'm an electrical engineer, but I like to call myself more of a tinkerer. I'm one of the newest people here at the Fun factory, and they call me the IoT Intern. I came on board to stir up and add new flavor to the IoT activity here at SparkFun. IoT has fascinated me since its inception, I've had a fair share of experience working with it, and I hope to spread that knowledge and learn more through the process! Simply put, the Internet of Things is a network of physical objects including but not limited to cars, buildings, animals, electronic devices and even people. These unconventional objects embedded with different sensors are now connected to the internet, transmitting and receiving data as you read this. Devices -- Rather than conventional devices like smartphones and computers, "devices" in IoT can be anything from a toaster to complex machines in industries. Data -- This is where IoT holds its value. Data is of utmost importance, as this is the basis for intelligent decision making. Connectivity - Obviously, the devices require some sort of network connection to communicate. There are a bunch of network architectures available today, which can be used for seamless transmission of data. 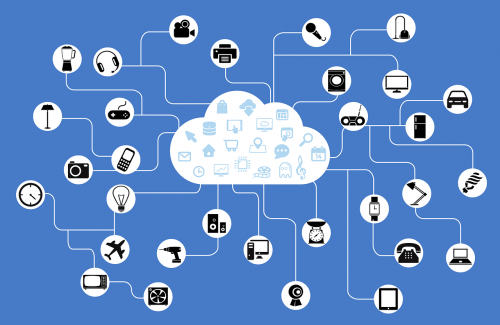 A lot of IoT-specific networks are also in the works. As novel and unprecedented as this technology may sound, it actually has been in the works for quite a while. Obviously, IoT would not exist if not for the internet, so a lot of people push IoT’s history to the inception of the internet. In fact, the term came into existence in 1999, when Kevin Ashton used it during a presentation delivered to Procter & Gamble about using RFID in their supply chain. He subsequently cofounded MIT's Auto-ID Labs to develop the architecture of the Internet of Things for the consumer goods industry. The first time I saw something IoT-ish was in CBS’s hit sitcom “The Big Bang Theory,” where the gang uses the Internet to let other people around the globe take control of their Things, like lamps and even RC cars. This episode aired back in March 2008. We've come a long way since '08, and so has the Internet of Things. We'll also talk about IoT security. Well, it's a good question! This is a question mostly in the minds of people who just got out of the rocks they were living under, and I do not blame them (just kidding). On a serious note, this is one of the most hyped emerging technologies in the information technology sphere. 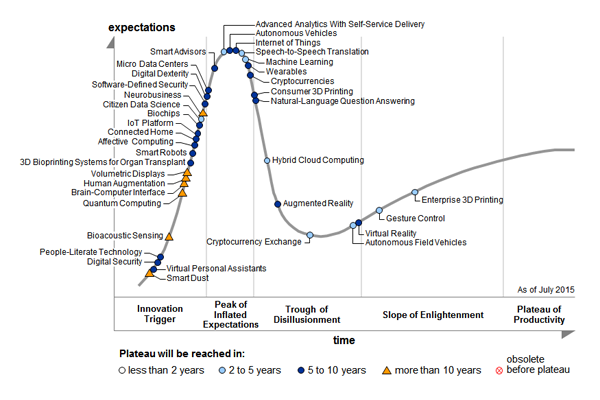 Gartner's Emerging Technology Hype Curve puts IoT at the peak of inflated expectations. This implies IoT is currently in the phase where most companies are pushing its development so as not to fall behind in the expected IoT revolution. The world generates data at a tremendous rate, and we've achieved the ability to tap into that data and listen to what our homes, cars and planet have been trying to tell us this whole time. This data seems invisible, but it's actually pervasive, and this new tech gives us insight into a smarter life. For example, a suite of in-home sensors that sense temperature, light, power consumption, motion, etc. can help you identify trends and pattern, so you can make smarter decisions toward a more efficient home. Now everybody is pushing to make this technology ubiquitous. Presently there are more things connected to the internet than people, and this number is predicted to increase to a whopping 50 billion connected devices by the end of 2020. A Boston-based company called Rest Devices has developed a smart baby monitor called Mimo. It enables parents to see information such as babies' activity level, temperature and breathing on their phones in real time. LightByte is a massive, internet-controlled interactive sun pixel facade. It turns sunlight into an expressive medium to carry information, communicate ideas and shape your own shadows! Projects like this mark the beginning of the smart home era – soon we will be able to interact with our data in ways we have never imagined. Smart Homes can automate things like lighting to optimize power consumption or even match your mood! Making the most out of it! Recently we have seen a substantial increase in tech companies stepping in and pushing the development of IoT services and solutions. I was not surprised to read this article on techradar.com, which talks about how Intel recently laid off a portion of its PC division employees to prioritize development of its IoT division. Intel joined the open source market in 2013 with the release of the Galileo development board, marking the dawn of their IoT investment. They subsequently released the Edison, intended to aid rapid prototyping. Within three years, Intel has pushed a complete IoT ecosystem with both development platforms and cloud solutions, and is holding 24-hour-long roadshows all over the world, dedicated to giving makers a taste of IoT development with Intel's platform. Intel isn't the only big company driving this technology further. Google has, over the years, championed internet access for all with projects like 'Loon'. Their recent acquisition of Nest for $3.2B is proof they want to strengthen their hold on the IoT industry. They have a dedicated IoT cloud platform with developer tools such as Brillo, an IoT operating system, and Weave, a communication platform for connected smart devices. I also want to give IBM a big shout-out for stepping up their game. 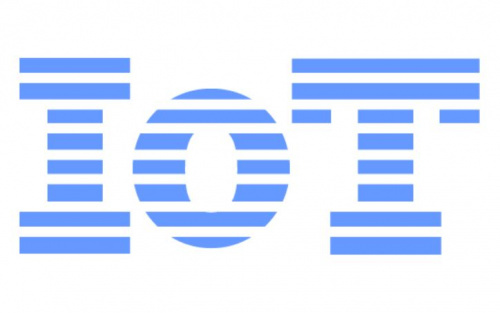 Their $3B investment in IoT technology makes them one of the top companies betting on IoT. The IBM Bluemix Platform is by far the most comprehensive IoT platform I have ever come across. With so many easily deployable applications, you can make a complete IoT solution with ease. The [Watson Developer Cloud]((https://www.ibm.com/marketplace/cloud/cognitive-application-development/us/en-us) can seamlessly integrate to your IoT application. They offer a 30-day trial period to access complete features of Bluemix, and I recommend you check it out. It's rad! At SparkFun, we firmly believe in open source, and take pride in our efforts to advance this movement by actively developing open source technology. SparkFun already has a number of tutorials dedicated to the IoTverse; check them out! We also have an open source data-logging platform called "Phant." The aim of Phant is to enable makers to push data to the internet and to bring a dose of reality to the IoT hype. We are in the process of reworking Phant for a better user experience. In the meantime, feel free to explore and start logging your IoT data! 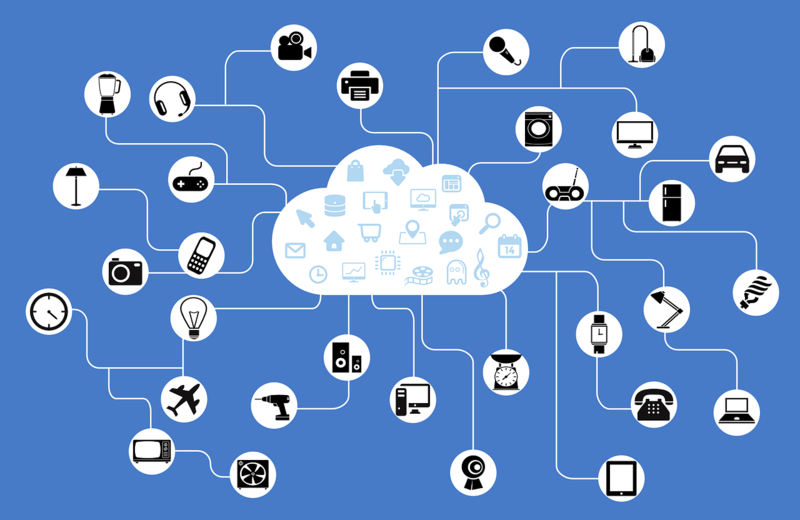 Connectivity is the backbone of IoT, but the lack of common standards and shared infrastructure is definitely a stumbling block in its development. One of the main concerns I have about IoT is security. As the number of connected devices increases, so do the vulnerabilities and potential risks. Data is what sustains this system, so data integrity and sharing are areas that need work. If collected data were compromised, it would breed distrust of the technology. If IoT is to make it big in the coming years, it will have to make its way through these hurdles. All of this comes down to how quickly the tech world adapts to the issues and challenges of IoT, and combats them to make it a viable technology. I hope we don't have to wait much longer before we can reap the benefits of one of the most promising technological revelations of this century. I hope the future of IoT will be as awesome as it is in my head – and maybe even more! Awesome post! I love all the gifs visualizing the future with IoT! It helps to visualize all that data the is, as you said, often perceived as invisible. I'm also very glad this post touches on IoT security, it's a conversation that needs to happen to bring awareness of what both companies and individuals need to know about securing their networks and devices. Thanks a lot! Hahaha the visualisations do light up the place, and hopefully our future would be that interactive as well. I plan to write a detailed post discussing IoT security soon as well. I haven't seen that episode, but I want to now! Hahaha I know right! The episode is called âThe Cooper-Hofstadter Polarizationâ from the first season. Sonny (said with patronizing, condescending, though friendly tone), the history of "IoT" stretches back a lot further, it just wasn't called that. The coffee pot camera at Cambridge University is arguably the first instance of putting a "kitchen appliance" on the Internet. Also, it can be argued that one of the main reasons for ARPA (now called DARPA) developing ARPANET (what evolved into the Internet) was to allow certain "things" to be controlled, those "things" included ICBMs -- which, fortunately, never needed to be told to "do their thing". So, in reality, "Internet of Things" is redundant, and "Internet of not-Things" is, in some ways, should be considered the "upstart". Hey Thanks! I did not know that about the coffee pot camera! Real interesting! Also I would say it would redundant to mark the beginning of IoT to ARPANET (fancy old name for modern Internet) because if not for Internets existence, you would not have read this and commented on it. Internet gave us the means for so many other technologies. IoT, as I think of it is an idea of trying to connected unconventional things to the Internet, for the sole purpose of gathering more and more data points. Since, in the recent years we have developed the capability to process and analyse that data, connecting things to the internet makes sense. This is why this technology is becoming so popular now! Also, I would say you have real good insights on this matter and I would love to read if you ever write on the topic! Comment about the post: All those "moving GIFs" can be EXTREMELY distracting for some readers, especially the ones that were too close to be able to scroll them off screen while I read the text. Yes! I do understand that, but I couldn't stop myself from using them. I like when things are interactive! but I would try to keep them limited from the next time. Thanks! Very interactive and insightful blog! Thanks a lot! I am glad you enjoyed it.